[PDF] The Chinese Kitchen Garden: Growing Techniques and Family Recipes from a Classic Cuisine | Free eBooks Download - EBOOKEE! Description: A beautiful introduction to growing and cooking with the variety, deliciousness, and healthfulness of Chinese cuisine! Wendy Kiang-Sprayâ€™s family has a strong culinary and gardening tradition. 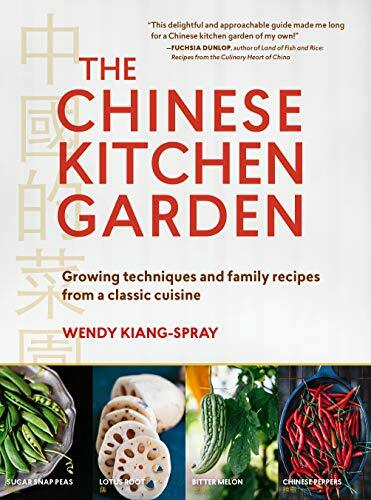 In The Chinese Kitchen Garden, she beautifully blends the story of her familyâ€™s cultural heritage with growing information for 38 Chinese vegetablesâ€”like lotus root, garlic, chives, and eggplantâ€”and 25 traditional recipes, like congee, dumplings, and bok choy stir-fry. Organized by season, youâ€™ll learn what to grow in spring and what to cook in winter. No comments for "[PDF] The Chinese Kitchen Garden: Growing Techniques and Family Recipes from a Classic Cuisine".